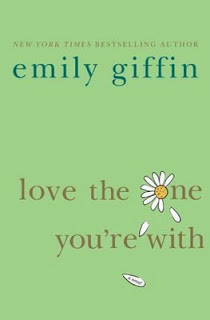 I am a HUGE fan of the author Emily Giffin and her books. I read the first book that she published Something Borrowed and was hooked with the rest of them ever since! If you have not read any of her titles, I highly recommend it! I thought all of the books were great! To start, first read Something Borrowed then Something Blue as they go in that order. Baby Proof would be next then Love the One You're With. Even better news, Emily Giffin sold the film rights and Something Borrowed is being filmed. Emily just announced that Ginnifer Goodwin will be playing one of the leading characters! I can't wait till this movie comes out. Has anyone else read any of her books? Thoughts? PS. She also has new book being released May 2010 called Heart of the Matter. I'm going to place my pre-order now! One of my favorite actresses, in the movie version of one of my favorite books? I don't think you realize just how happy I was to read this!! I'm so glad I read this! I LOVE her books. I read all 4 in 1 week! Such quick, easy reads! I had no idea about the movie or next book. Can't wait! I am currently reading Love The One Your With! I have Something Blue but let a friend borrow it and I have not seen it yet. Is it going to mess me up if I am reading Love The One Your With 1st? A movie would be so exciting! Love Love Love all her books! I'm so glad they're making a movie!!!! I told my husband that one her books would be next. I've been so lucky that so many of my favorite reads have become movies recently like, The Time Travelers Wife, The Lovely Bones and now this one!! Yay! Thanks for the info, I can't wait. I love her books! And Im not one for reading books so that says a lot! That's exciting! I have to read Baby Proof still! I love her books! I read them in a day and love each one more than the one before! I didn't know she was coming out with another one, I'll be sure to keep my eye out for it! I'm so excited to hear she has another book coming out!! YAY! i agree those are some great books!! I couldn't put down her books, they really draw you in. The last two (I think of them as the green and yellow ones, haha, I can't think of the titles off the top of my head!) have given me a sort of melancholy feeling though. I guess it means that they're good enough to elicit some emotional response, but they did make me feel sort of sad. My favorites are definitely Something Borrowed and Something Blue!